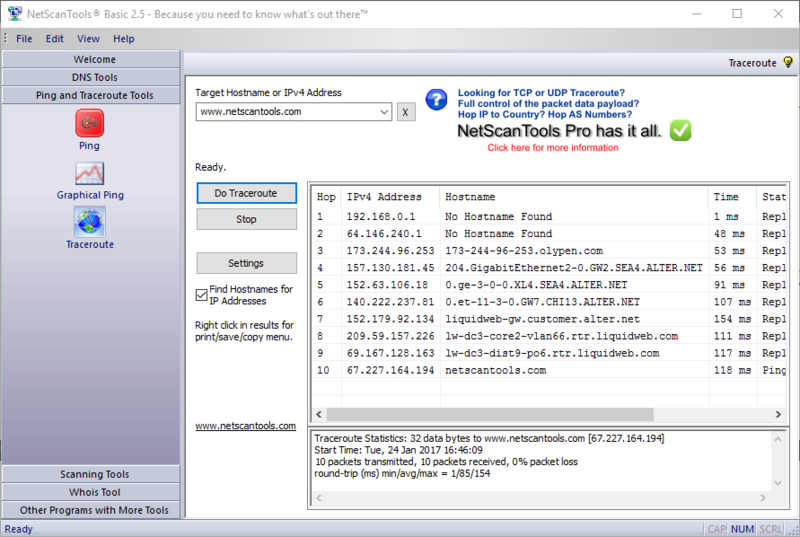 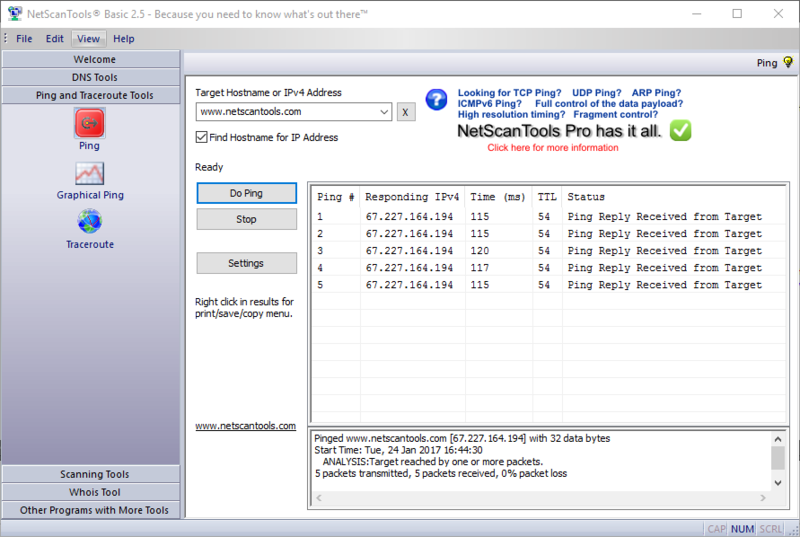 is a freeware set of essential network tools. 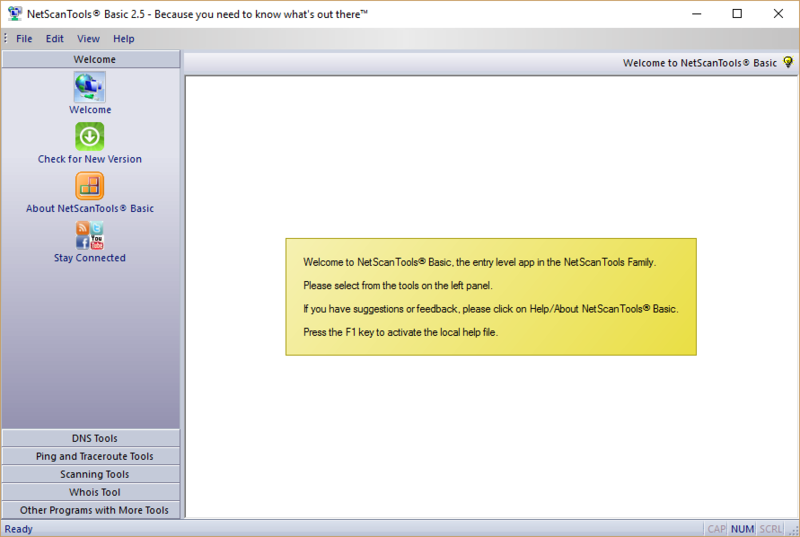 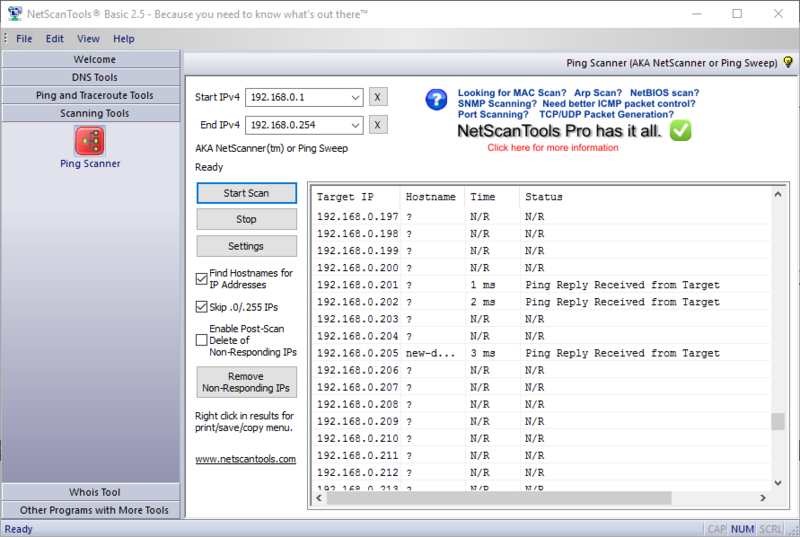 NetScanTools® Basic Edition was introduced in 2009 as a freeware set of basic network tools designed to fill the gap left by the retirement of NetScanTools Standard. 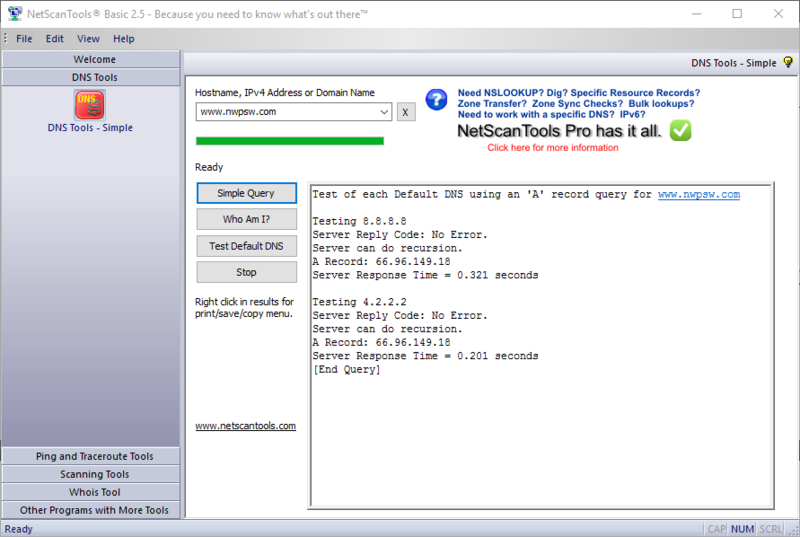 Internal changes to improve DNS queries. 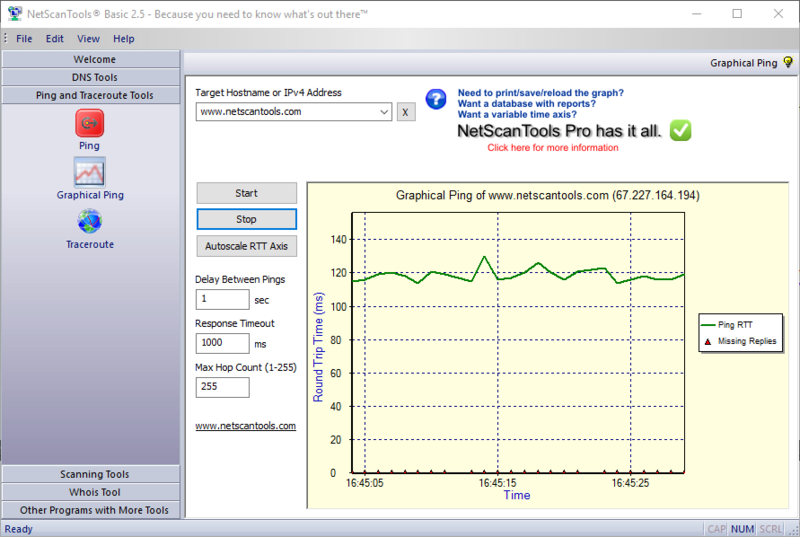 Changed text on some of the NetScanTools Pro information buttons. 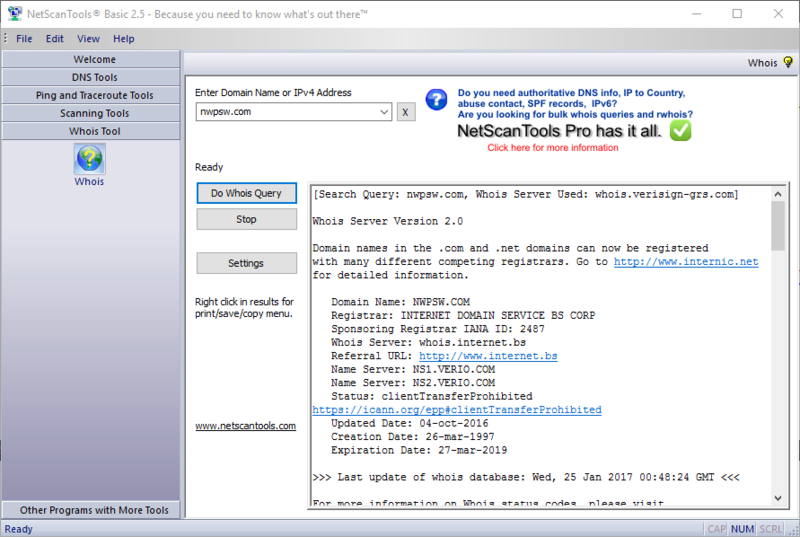 Trial Period: None - Unlimited - Freeware!